There are certain places that to me are heart homes - Paris, North Wales, the Deep South, and Texas. When I first arrived in Paris, as a rather naive graduate student, I was accompanied by my mother. We began walking the arrondissements and at a certain moment she looked at me and said, “You haven’t looked at the map once. You know where you’re going. How are you doing this?” Well, I couldn’t really answer her as my feet and heart just knew the rues as though they’d always walked them. Yes, Paris is my heart home. I have that same reaction when I read books about the Deep South - Savannah, Charleston, the Blue Ridge Mountain area. And although I’ve never visited there, I know that when I do, my feet and heart will already know their appropriate paths. Texas is another place that I feel kindred to. I’m not sure whether it’s because of my father’s tales of when he lived in West Texas or the number of books I’ve read since childhood that feature stories about Texas and Texans, but there is something about that state that calls to me. 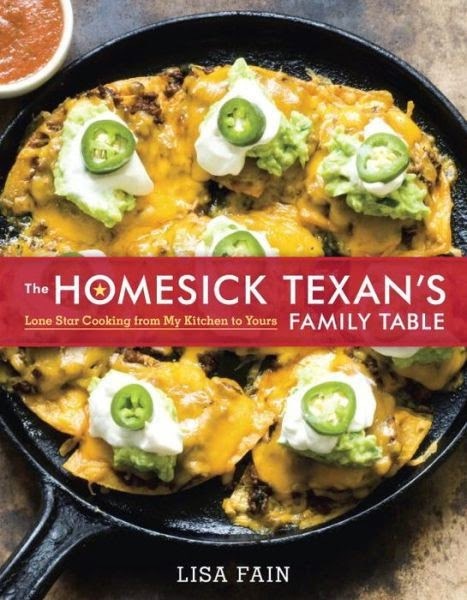 When I was perusing books to review, Lisa Fain’s new cookbook The Homesick Texan's Family Table: Lone Star Cooking from My Kitchen to Yours called out to me - and I answered that summons immediately. From the moment I began reading, Lisa Fain’s welcoming introduction connected with my heart. This isn’t just a cookbook to follow, but a love letter to the generations of Texans before her who have passed along their treasured recipes. By sharing these recipes - and her wisdom - Fain is creating a way for us to create our “most memorable meals” and transmit some Texas generosity and love to our friends and family. With each page I turned and recipe I read, I had to hold myself back from running into the kitchen to create some of this down home love. May I say that this is one of the most beautifully and lyrically illustrated cookbooks I’ve read in quite a while. Personally I’d love some of the photos to frame and hang, not only in my kitchen, but throughout my home. They are that beautiful. It’s not surprising how well they integrate with Fain’s stories and recipes as she’s taken each one. As I continue to read her introductions to each section I fall a bit more in love with this homesick Texan’s way of expressing herself. I’d advise you to pick up your own copy of this cookbook, not just for the recipes, but for Fain’s stories, like the one she that she relates introducing her tweak on Uncle Austin’s Blueberry Granola. Her uncle taught her well, as each recipe that Fain has shared bubbles with happiness and, yes, fun. These are dishes that you’ll make time and again, and I relish her kitchen advice about kitchen equipment must-haves. She too uses her heritage cast-iron skillet for “just about everything - from deep-frying to sautéing to even baking.” This is my favorite kitchen item as well and knowing that she creates many of these recipes, using just that, made my day. Reading that excerpt, don’t you feel reassured as a breath of relief and inner confidence imbue you? Why if she can cook these recipes in a tiny kitchen, not a restaurant-ready Top Chef kitchen, well, perhaps they can be re-created at home by you and me. And they can. That’s the magic about this cookbook, as it contains recipes that have been around for generations, but are now updated and slightly tweaked by Fain for the way we live today. She seeks out fresh ingredients (I see myself haunting the Farmers' Market on Saturday morning) and even includes a recipe for home made chili powder that I can’t wait to try. I love the fact that she shares some of the places beyond family and friends that she’s found recipes, like her Creamy Macaroni and Cheese that is based upon a trick she found in a Texas Junior League cookbook. I've found a heart soul sister, as one of the things I most love to do is to haunt library sales and second hand bookstores in search of those quirky fundraising community recipe collections that feature favorites from church ladies, Junior Leagues, granges, and other community organizations. Speaking of which, I have both a digital copy of The Homesick Texan's Family Table as well as a hardcover edition. As you know, I’m all about eBooks here, but I’m going to be absolutely honest. I would advise you to buy the hardcover. It’s just that beautiful. I’ll use my eBook, Kindle version for everyday cooking, while the hardcover will reside on my kitchen’s cookbook shelf to be brought out, time and again, when I seek a bit of inspiration, comfort, or just want a little of that happiness that Fain shares with her readers (and not get smudged with cooking detritus). Were I to pair Fain’s recipe collection with some novels, a few authors spring to mind. Diana Palmer and her Texas biscuit-loving Hart brothers for one. (I love the fact that Lisa Fain cuts her biscuits with the metal closure from a Mason jar. Just brilliant and illustrated so beautifully in a photograph.) Having just read Melissa Cutler’s Catcher Creek series, I immediately thought of chef Amy Sorentino from The Trouble With Cowboys (Catcher Creek Book 1). In addition, I’ll be following Lisa Fain’s Homesick Texan blog, http://www.homesicktexan.com, because just like I know when I’ve found a heart home, in Fain I’ve found a cooking heart soul sister. Thank you Lisa Fain for sharing your wisdom and recipes so I can create treasured memories here, in my own home! From beloved food blogger Lisa Fain, aka the Homesick Texan, comes this follow-up to her wildly popular debut cookbook, featuring more than 125 recipes for wonderfully comforting, ingredient-driven Lone Star classics that the whole family will love. There are few things finer than a delicious, homemade meal shared with family and friends. Take it from Lisa Fain, a seventh-generation Texan who loves to cook and serve up the best dishes her home state has to offer—even though she now lives half a country away. The Homesick Texan’s Family Table showcases more than 100 of Lisa’s best and most-loved recipes, ranging from down-home standards (think cheesy nachos, comforting chicken and dumplings, and fiery wings) to contemporary riffs on the classics (who knew adding Mexican spices to a German chocolate cake would taste so good?). All of Lisa’s recipes are made with fresh, seasonal ingredients, yet still packed with real Texas flavor that will make your grandmother smile. Whether you’re looking for a party-friendly snack like Pigs in Jalapeño Blankets, a Mustard Coleslaw to bring as a side to your next potluck, a weeknight- and family-friendly meal like Steak Fingers with Cream Gravy, or a mouthwatering dessert like Ruby Red Grapefruit and Pecan Sheet Cake, The Homesick Texan’s Family Table has you covered. After all, with some mighty fine food and mighty fine people to enjoy it, any meal can be cause for celebration. 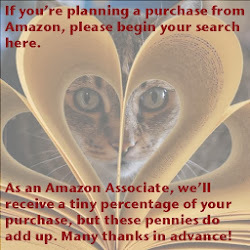 I received this book from Blogging for Books and NetGalley for this fair and honest review.